“Down on the old mill stream” goes the song of long ago. 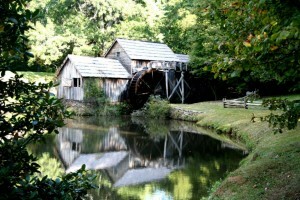 A really great treat is to visit an old mill, such as the old Mabry Mill. It’s right on the Blue Ridge Parkway in Virginia, and looks like a perfect Currier and Ives painting. 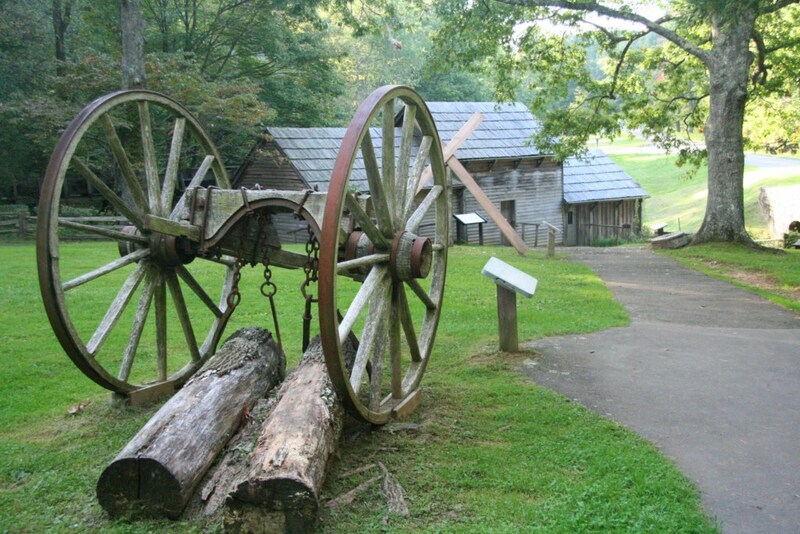 At the turn of the past century these mills served the community by providing lumber for building and grind stones to turn the settlers’ grains in flour. The mill, which has been wonderfully cared for, is an excellent example of craftsmanship. It is now looked after by the Park Service. 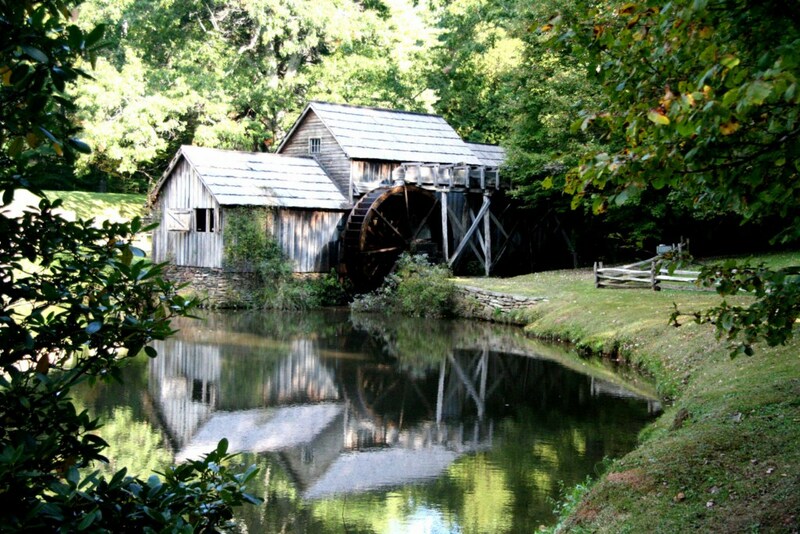 Outside, there is a large waterwheel fed by a small stream that is carried for a long distance in a wooden sluice. In front of the mill is a small pond that gives perfect reflections of the mill. Inside you will find the saw and carriage, where the logs were turned into boards, square timbers, and other framing material. 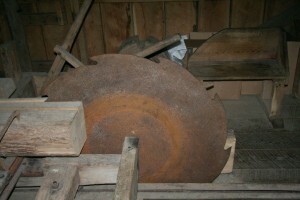 The saw is cut from a sheet of steel, made circular, and then the teeth of the saw created by cutting into the circle. It’s a pretty good looking saw and probably created locally. 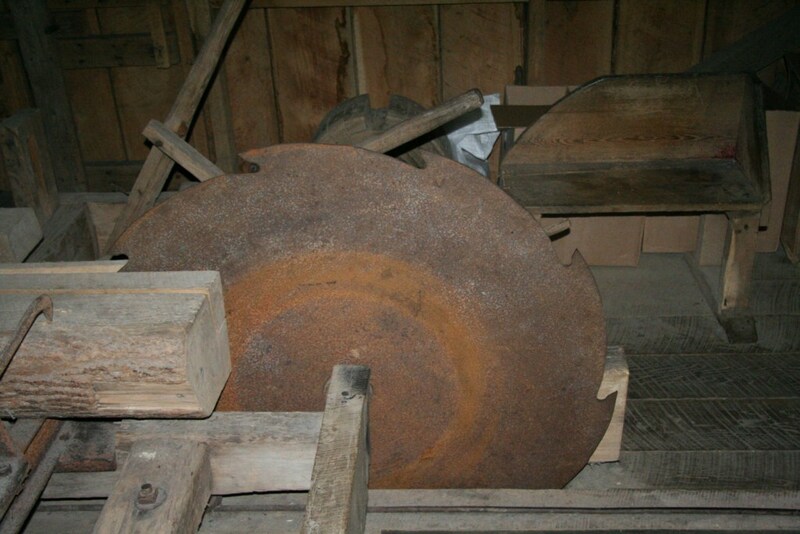 Part of the wood working equipment allowed a skilled craftsman to turn out articles produced on the wood lathe, and other objects required by the farmers. You might also see the mill grinding grain into flour, something that in the early part of the century would have been a regular operation. Wagons and teams would have stopped by the open loading area to off load several bags of grain while others would be picking up their bags of flour. Stone ground flour is sold here in the summer, although the flour is ground in another mill. 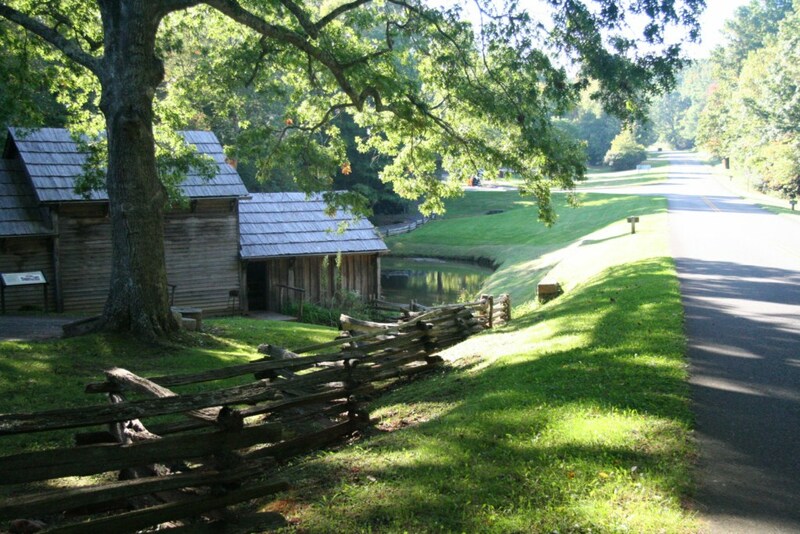 Step over to the nearby blacksmith building to see how the early settlement created many of its metal products right on site. 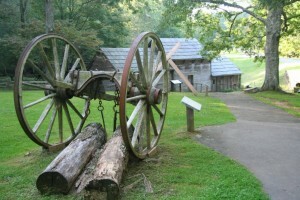 Outside you will see a two wheeled cart with high wheels showing how horses could drag logs from the woods. Along the highway there is a fine example of the old split rail snake fence. The Mabry Mill is a great place to stop for photography too. Between exploring and taking pictures you are sure to spend a few enjoyable hours.